“Good News of the Week” was born out of a casual conversation in the conference room. Someone mentioned the positive headlines the region was getting and before we knew it we’d been around the room and everyone had something to contribute. We live in one of the greatest places in the world and it seems like we don’t spend enough time recognizing our regional accomplishments. So we started pulling together the good news of the week and sending it out to our stakeholders. Now, people from around the region send us their news and week by week we have seen the readership grow. This week, we thought we’d mix things up a bit: we present to you “Good News of the Year,” a collection of the top 10 stories that came out of the region in 2012. Here’s to many more positive headlines in 2013. P.s. If you don't subscribe to our newsletter now, you can do it here. 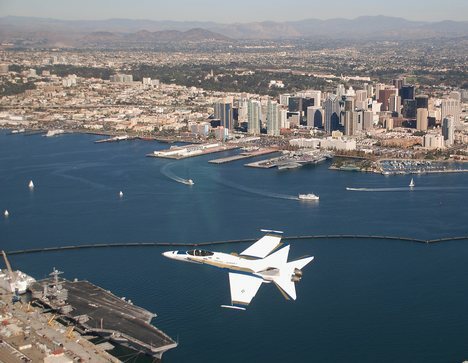 San Diego is home to the largest concentration of military in the world. With a quarter of the jobs in the region linked to the military, sequestration (automatic spending cuts that will be triggered if a budget resolution is not passed), threatens to ripple through every sector of San Diego's economy. Recognizing the threat to the local economy, business and community leaders have worked together on a collaboration known as "Operation San Diego," an initiative to protect the region's military assets. lt has been widely successful: regional leaders have helped establish a full-time presence in Washington and were invited to speak at a White House Business Council meeting. Numerous community and business related educational panels have also been held. On a state level, San Diego has been looked to provide leadership in this area, proving that San Diego has the resources to mobilize not only the region, but the state. On Dec. 3, crowds from around the Mega-Region gathered to watch Bob Filner become the 35th mayor of City of San Diego. Filner proposes to bring new voices to City Hall to reflect our more ethnically diverse city, improve relationships with municipal employee unions, make the port an engine for job growth, and to focus additional attention on individual neighborhoods. There are now 20 female CEOs running America's largest companies; one of them is right here in San Diego. In August, Former EDC Chair and CEO of Sempra Energy Debra Reed was recognized by Forbes as one of the nation’s most influential female CEOs. Also recognized as one of Fortune's "50 most powerful women in business" for the second straight year, Reed became chairman of Sempra in December. The world renowned Brookings institution selected San Diego to participate in its Metro Export Initiative, a project that helps regions implement customized Metropolitan Export Plans. As the eighth largest city in the U.S., San Diego ranks 17th among the top 100 largest U.S. metro areas in international exports. The plan, which will be formulated in 2013, will help expand San Diego's exports and increase job creation throughout the Mega-Region. 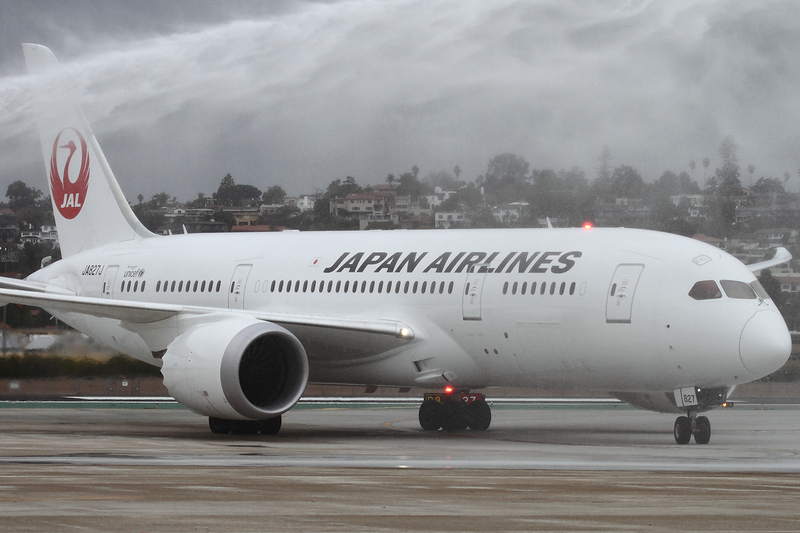 On Dec. 2, a 787 Dreamliner aircraft left Lindbergh Field for Narita International Airport in Tokyo, establishing San Diego's first direct flight to Asia. The new service provided by Japan Airlines is expected to have a huge economic payoff for San Diego due to a forecasted 67 percent spike in visitors to the U.S. from Asia over the next five years. With nonstop service to both Asia and the United Kingdom, San Diego is joining its big-city rivals as a player in the growing market for international travel. It's no surprise that San Diego is leading the way in renewable and solar energy. If the region were a nation unto itself, it would rank among the top 25 nations in the world in terms of solar capacity. Solar Giant Soitec helped the region uphold this ranking when it chose San Diego as its new North American home, creating 450 jobs in the region. The Rancho Bernardo facility, which opened on Dec. 19, is located in a newly expanded enterprise zone. The region recently made national headlines when the San Diego County Water Authority voted to utlize the largest water desalination plant in the Western Hemisphere with the recent approval of Poseidon Resources' Carlsbad Desalination Project. The project provides 50 million gallons of water to the city per day, enough to quench the thirst of 450,000 residents, as well as reduce its reliance on outside sources. The construction of the plant will provide more than 2,300 jobs and will sustain 575 jobs when it is completed in 2016. When the global economy started to collapse in 2007, out-of-state politicians, the media and others painted California as the poster child of the economic downturn. It was a long slog but in 2012, there have been more positive indicators that things are continuing to improve: tourism and manufacturing have seen steady upticks, companies are not only staying in the region, they're moving here. We've seen that San Diego, with its superb quality of life and tremendous talent pool, has proven that it has the unique ability to be where California begins again. Seattle has Pike Place. London has Borough Market. San Diego will soon have its own permanent fixture to add to this list: The San Diego Public Market in Barrio Logan. What is most remarkable about this projects is the fact that it was initially funded entirely through the community with kickstarter, a platform for funding creative projects. In six short days, the community came through, raising more than $100,000 via 1,379 backers. The market will permanently open in spring 2013. We are excited to share San Diego Regional EDC’s new website and approach to positioning the region within the global economy as a magnet for investment, talent and innovation. Based on your feedback, we focused on the “big picture,” highlighting the unparalleled beauty and assets of our bi-national mega-region and its key economic drivers – Innovation, Military and Tourism. If you’re reading this post, you’ve already found the website (and the Big Picture San Diego” blog)! I invite you to look around for more information about the region, key industries and San Diego Regional EDC services and programs. Please feel free to use these new resources as a tool to promote your company and San Diego’s unique business ecosystem. As always, we appreciate your continued support and look forward to working with you in the coming year as we work to maximize the region’s economic prosperity and global competitiveness.